What better stoner treat to make in the summer for when the heat really hits? Popsicles are always a hit, it doesn’t matter what age you and your friends are or what time of year it is for that matter. If you whip these babies out at a backyard gathering in the summer, you’re sure to be a huge hit. Plus, since they’re medicated, people will be able to enjoy your party that much more. And if you don’t feel like sharing, you don’t have to and you can eat this tray of six popsicles all to yourself. Start off by pureeing the raspberries along with 1/8 a cup of the water and the lemon juice. About halfway through the puree, add in 1/8 cup of the cannabis honey. Blend everything together until it is smooth. Pour the raspberry mixture through the sieve in to a clean bowl. You can discard the seeds (or eat them… I chose to eat them). Fill each of the popsicle molds about 1/3 of the way full with the raspberry mix. Freeze them for an hour. While you wait, mix together the cannabis almond milk, sugar, and the yogurt. Stir together well in a clean bowl. Once the raspberry mix is frozen and the yogurt mix is smooth, remove the raspberry pieces from the freezer and fill them with another 1/3 of the yogurt mix. Place them back in the freezer for another hour. When about an hour has passed, you can puree the blueberries, along with the lime juice and 1/8 of a cup of water. Once the mixture is about halfway done pureeing, you can add in the rest of the cannabis honey just like you did with the raspberry mix. Continue to blend everything together until it is smooth. Pour the mix through the clean sieve in to a clean bowl. Again, you can choose to eat or discard the seeds. Take the molds out of the freeze for the last time and (before pouring the blueberry mix in), put a popsicle stick in each mold. Then, fill them until they are less than 1/2 an inch from the top. Stick them back in the freezer for a solid two hours. Once they’ve completely frozen, remove them and quickly run them under warm water to loosen the sides. Serve to yourself or your friends. 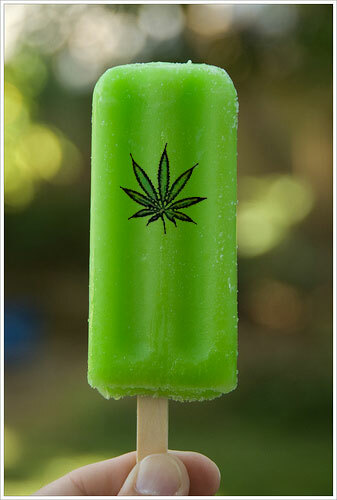 Enjoy your lovely medicated, homemade popsicles! 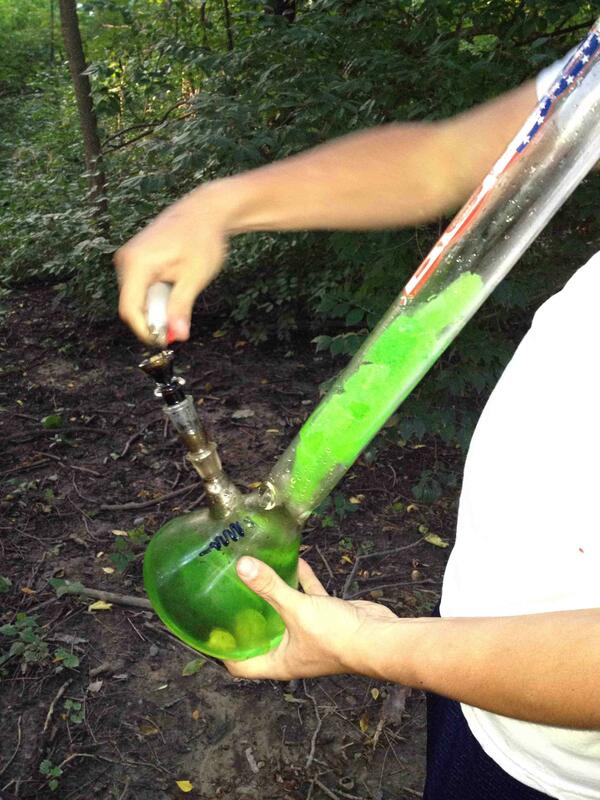 This entry was posted in Stoner Blog, Stoner Cookbook, Uncategorized and tagged stoner.